To the best of my ability, these are the bars I want to max out in the game of life. 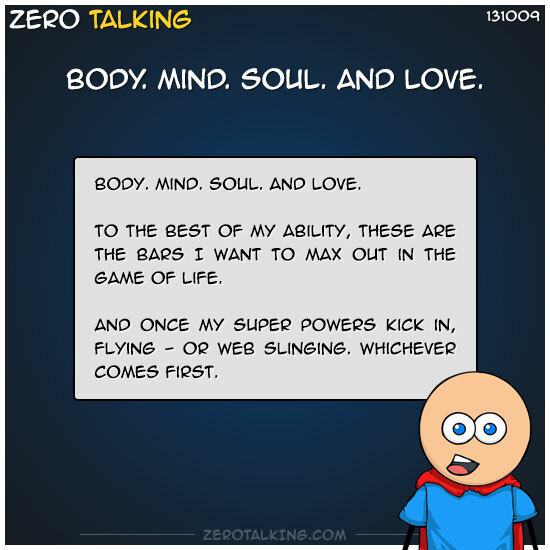 And once my super powers kick in, flying — or web slinging. Whichever comes first.